of water. The art of the cast. Rising fish. Connecting to nature. A shared experience. 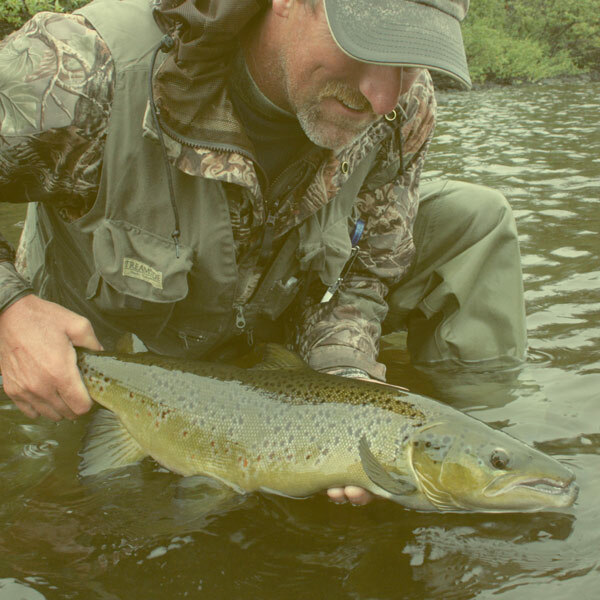 We believe in fly fishing for everyone. Fly fishing is for everyone. It’s fun, exciting and surprisingly easy to do. You can do it at any age regardless of your fitness level, experience or expertise. It’s just another style of fishing that has its own way to cast and its own style of lure – a fly. People often think that fly fishing is just for trout in mountain streams, that it’s expensive, and that it is very difficult to learn, but it doesn’t have to be that way. The truth is you can use a fly to catch almost any species of fish on any body of water. With some basic gear and a little know-how, you can have a great day fly fishing. All you really need is a fly rod and reel with fly line and a leader, and some flies that imitate what the fish are eating. Then you cast your fly to where the fish are and the natural response is for the fish to take your fly. It’s that simple. Fly fishing is easy to learn. You need to know a little about fish and what they eat, and you have to learn how to cast -- which looks more difficult than it really is. It’s understandable for a beginner to be intimidated by fly casting. The rhythm of the arm movement, the dance of the line in the air, and the precise presentation of the fly to a hungry fish can all lead to a “too-complicated-for-me” attitude. You could spend a lifetime perfecting your cast – and lots of fly fishers do – but you can also learn some simple basics that will help you get the fly out and start fishing after just a few practice casts. Remember, even the most avid anglers had to start somewhere. At Superfly, we want to make sure you have everything you need to make your first cast successful. We’ve developed products and programs to help make it easy. Visit our instructional video series to see how simple it can be. Who knows where your fly journey might take you? Where to start? Wherever there are fish, you can catch them on a fly. Know of a beautiful secluded small creek? Have a favorite spot on a local lake? Pick a body of water: river, stream, lake or pond. You can even fly fish in saltwater. Choose how you want to fish: from shore, from a boat, from a pier or while wading in the water. Want to feel the current rushing past you as you walk a river? Or sit in a boat and visit with friends? It’s up to you. Once you know where you’re going and how you’ll access the water, learn a little something about the fishery. What species live there? What is the food source available? This will help you select your equipment and your flies. For example, to catch small trout in a stream, you need a light-weight rod and reel and fly patterns trout prefer (i.e. Adams, Copper John, Wooly Bugger). If you’re fishing for pike, salmon or steelhead, you’ll need flies and gear designed to target these species. If you’re new to the sport, an easy way to begin is to buy ready-to-go gear. You can purchase a rod-and-reel combo or a Complete Fly Fishing Kit like our 12-piece box that will get you off to a good start. Just add water! Once on the water, take a few minutes to connect with nature. Look around. Do you see any fish rising to the surface? Are they jumping? What are the insects doing? Are they flying around or sitting on the water? Or are they nowhere in sight? This is when you can start to think like a fish in search of your next meal. The cues around you will help you select the flies to use and how to present them to the fish. You don’t have to be an entomologist (bug expert) to catch fish on a fly. There are many proven patterns that will work for even the fussiest fish. Flies are designed to imitate a food source or trigger an aggressive response. There are six basic categories of flies that will help you choose which fly to use. Part of the fun and the challenge of fly fishing is to figure out what to offer a fish so that it takes your fly. And if you really get into it and want to explore another side of fly fishing, you can take up the art of tying your own flies. There’s nothing like the feeling of fooling Mother Nature when a fish takes a fly you’ve tied yourself. It’s a rush! Fly tying is a great way to stay connected to the sport through the cold winter months. Sitting at the vise thinking about your favorite fishing spot and designing the perfect fly that you know will catch that elusive fish from last season is a great way to pass the time until fishing season starts again. There are many reasons to fly fish — being in nature, watching wildlife, the thrill of the take, time with family and friends. Spending time outdoors and connecting with nature is really important for our mental and physical well being. Fly fishing helps us de-stress, focus and relax. Just being in fresh air helps the body to restore itself. There’s science behind why you feel so good after a day on the water – fish or no fish! There are organizations in our community that actively promote fly fishing to improve mental and physical health. Visit our Community page to link to groups who use fly fishing to help speed up recovery after breast cancer surgery, and learn how the benefits of fly fishing can help reduce symptoms of Post Traumatic Stress Disorder. Whether you’re looking to improve your health or just looking for a new activity to do in the outdoors, fly fishing offers something for everyone. It gets us off the couch and out from behind our computers and connects us to nature. And it’s not just for adults. Fly fishing is a great activity for the whole family to enjoy. Kids can fish right alongside adults, and spending time together in nature can lead to a healthy, life-long love of the outdoors. Fly fishing has been around for hundreds of years, and at Superfly, we want to ensure it’s around for hundreds more. That’s why we support local and national conservation organizations to help protect our fisheries. We encourage you to help protect this shared resource by keeping our waters clean and accessible and using fish-friendly practices such as catch and release. Watch our Catch-and-Release video to learn more. If we all do our part, and take care of the land, the water, and the fish, fly fishing will be enjoyed for generations to come.